Thank you for reading! And Im glad that you think it was great! Little Jenny is an adorable little girl, and shes so friendly too! Beautiful, just Beautiful. I loved it. Very Well Done!!! Oh my god, I can’t believe it’s over! The ending was perfect! The ending was beautiful and I loved your story even though I’m sad to see it end. I have enjoyed this story very much and look forward to whatever you have planned next. WOW! What an amazing ending to such an amazing chapter. Im so happy for Hazel and the family. 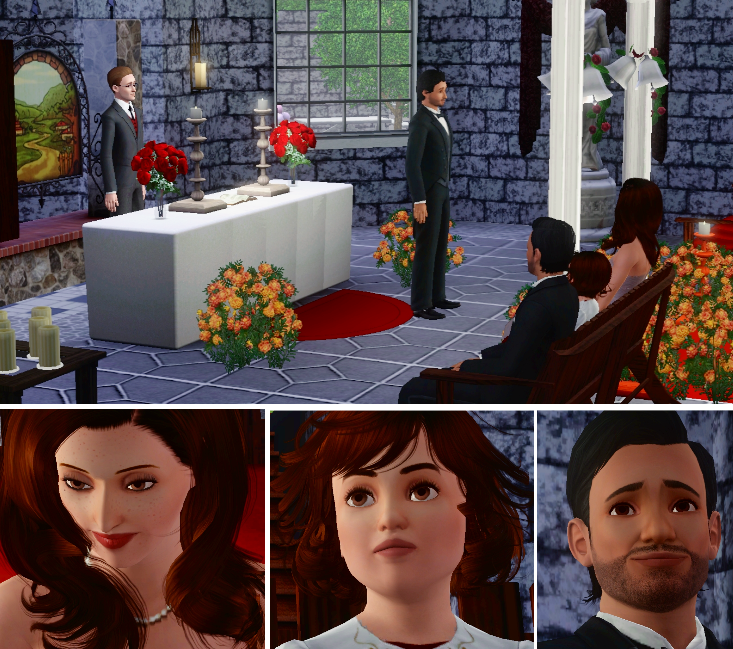 Love the last shots, their daughter is just so cute and the Colton’s wedding is great! Im sad its over, I hope you start another story. Ps: Where did you get the hospital custom content? I made the hospital myself, its really small with two floors (and pretty shabby outside as I just needed shots from indoors XD.) The bottom is the doctors office + a little lobby and the upstairs is that one room bisected into two that Hazel was in + the Nurses office outside combined with a little lobby. The beds and dresser and chairs were all regular CC that I just changed the color to white. The thin curtain separating the rooms I unfortunately forgot where it came from, but was used with the 'moveobjects on' cheat. The only really 'real' CC that matched a hospital was the gas/oxygen tanks behind the bed. Those I got from Aikea and changed the grunge look to white and gray I believe. I can also recommend the 13th sim who has some hospital things that are silent hill themed, so they are grungy and spooky, but you can change the pattern and make them clean looking and sterile for regular hospitals. Noooo, it’s over 😦 One of my favorite stories to read 😦 I enjoyed all of your chapters, pictures and writtings, and I really do hope you start another story. The beginning of this chapter started off filled with emotions, and the ending got me just as sentimental. You’ve got talent. ps. Let me know if you start another story, or blog!! Aww, thank you ❤ I was aiming at emotional, so Im glad that many of the readers found it sentimental. What a perfect ending! I loved the epilogue especially, it’s nice to see that Hazel had her happy family after all. 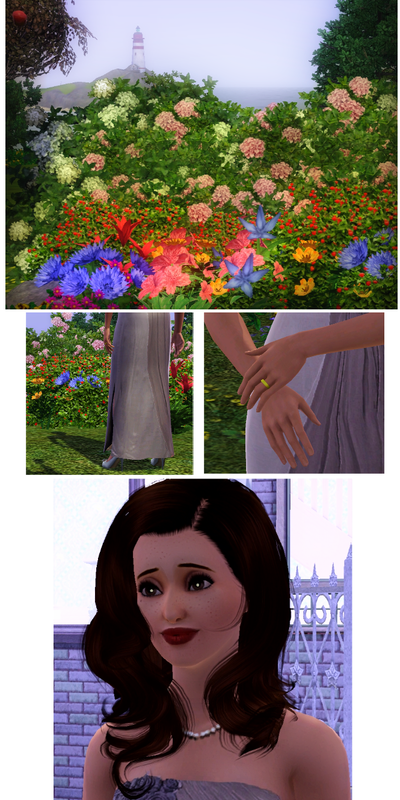 This was definitely the best Sim Story I’ve ever read, you really have an amazing talent! :’) Thankyou for making my life feel a bit more wonderful! Amazing… perfect ending, to have the children in the garden like at the beginning… Wow. wow just wow like some others this certainly brought tears to my eyes you definatly have the talent of a writer dusty and I have to say that altho this story is at its end I’ll never stop reading anything you dish out as your way of telling a story is undescribable amazing would definatly be a understatement and I so look forward to your next story all in all thanks for making such a great story and thanks for making not only my own life but everyone elses that much brighter.